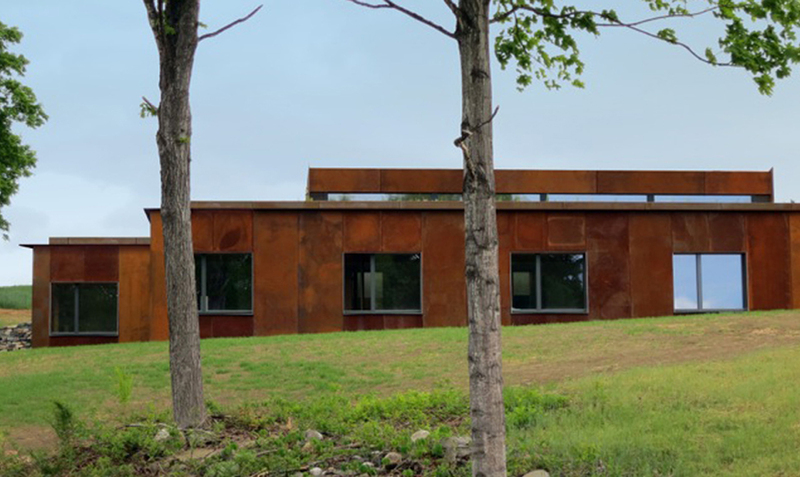 Overview: The Guilford Sound Recording Studio and the Vermont Performance Lab Campus in Southern Vermont present a unique opportunity to study both a completed and evolving project that strives to be as energy neutral as possible. The Recording Studio, winner of a 2013 AIA Vermont Award of Merit and a 2014 New York State AIA Award, is a world-class recording facility that relies on local energy inputs and balanced systems operations to minimize energy use. As the campus expands to include a Passive House and LEED Certified residence for visiting artists, lessons learned from the first stages of the project are being applied to the new phases to create a facility more integrated into the landscape. Mr. Sheridan will present the project from the conceptual phases through construction and operation, demonstrating both strengths and weaknesses of the materials, methods, engineering and detailing involved in the realization of such a project. Ted Sheridan AIA, ASA, LEED AP is a partner at Ryall Porter Sheridan Architects, in New York. He earned his Bachelor of Environmental Studies and his Professional Architecture Degree at the University of Waterloo, in Canada. Before entering the field of architecture, Mr. Sheridan worked in the sciences for the Atomic Energy Commission of Canada at the Deep River Nuclear Research Facility in Deep River, Ontario and Canadian Industries Limited in Toronto. Mr. Sheridan’s areas of expertise include high-performance, low energy building design and the science of architectural and musical acoustics. As an instrument maker and musician, he has instructed courses on architectural acoustics and the physics of musical instruments at the Parsons School of Design in New York and has lectured on the subject at the University of Virginia, Ryerson University, the University of Toronto and New York University.